In very quick time, Lee Daniels has established himself as a filmmaker of considerable heft. After a somewhat inauspicious directorial debut with 2005’s Shadowboxer, Daniels followed up in 2009 with the powerful Academy Award-winning Precious, the story of an overweight, abused, pregnant, illiterate teenager who is desperate to turn her life around. Last year saw Daniels produce the polarising thriller The Paperboy, in which the likes of Nicole Kidman, Matthew McConaughey, Zac Efron and John Cusack inhabited some very unlikeable characters in a Florida-set crime drama. This time around, Daniels is working on a much broader canvas as he tracks the history of American race relations through the eyes of a man who saw it all unfold from the closest possible proximity to America’s leaders. 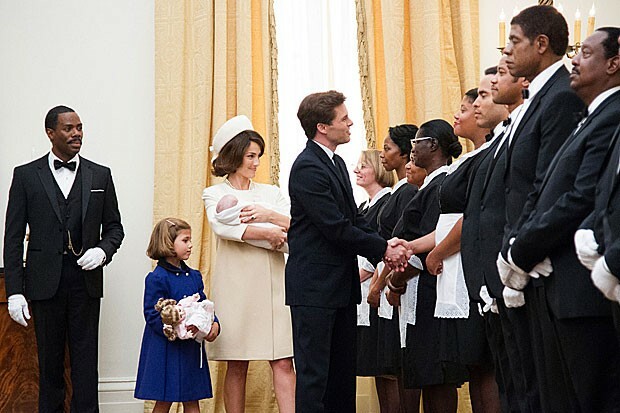 Based on a true story, The Butler tracks the story of Cecil Gaines from his childhood in the cotton fields of Georgia to more than 30 years of servitude to no less than seven American presidents as a butler at the White House. Lacking the steamy salaciousness of The Paperboy or the bleak brutality of Precious, Daniels has assembled a star-studded cast for what is his most ambitious, and most accessible, project thus far. Forrest Whittaker takes on the lead role as the honourable Gaines, a man whose devotion to the opportunity afforded him comes at some cost, particularly with regard to his relationship with his family. Daniels has made a movie that, despite the unsavoury nature of so much of what transpired during this period of history, is somewhat harried in its depiction of these events, in a similar vein to Forrest Gump, albeit with a much less irritating protagonist. Although packed with sentimentality, The Butler is an endearing portrait of a quiet, dignified man who becomes a confidante of sorts to some of the world’s most powerful men. There are some powerful scenes that serve as timely reminders of the plight of African-American people in their battle for the rights and opportunities that so many of us take for granted and it is these moments – and the ways in which the various presidents deal with them – that prove the most interesting. As Cecil’s oldest son Louis (David Oyelowo) becomes embroiled in the protest movement, tensions rise between the two men that leads to a lengthy estrangement before the reunion that we always know is coming. Caught in the middle is Cecil’s wife Gloria (Oprah Winfrey), a boisterous presence who relies on smoking, drinking and the company of others to cope amidst the turmoil within her family and the world around her. 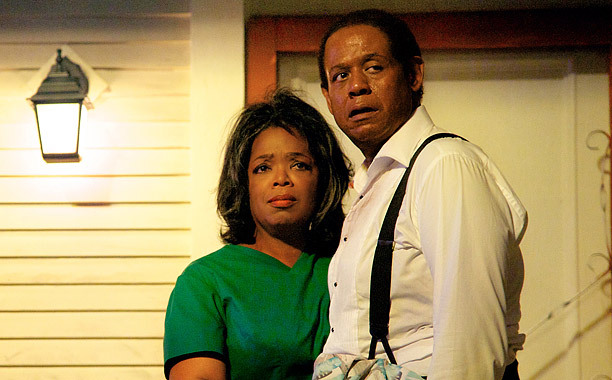 While a little inconsistent in her portrayal, Winfrey is effective in constructing a woman whose love for her husband is tested but never waivers. The line-up of talent assembled is incredible with Terrence Howard, Lenny Kravitz and Cuba Gooding Jnr – in the best thing he has done for a long time – comprising friends and co-workers. The likes of Vanessa Redgrave, Mariah Carey and Alex Pettyfer – whose sadistic slaver Thomas Westfall rapes Cecil’s mother (Carey) and murders his father (David Banner) to unwittingly set Cecil’s career trajectory in motion – also feature. The various Presidents are played by Robin Williams (Eisenhower), James Marsden (Kennedy), Liev Schreiber (Johnson), John Cusack (Nixon) and Alan Rickman (Reagan) and the problem is that the physical transformations – with the exception of Schreiber – fail to convince and it is difficult to see beyond the very recognisable faces of the actors. It is the ladies who produce the most effective impersonations with Minka Kelly and Jane Fonda as Jacqui Kennedy and Nancy Reagan respectively, although neither have any significant screen time. Yes, there are plenty of sickly sweet moments to be found and sometimes Cecil just seems too loyal to be true – seemingly prepared to sacrifice everything for the sake of his job. However, there are also moments of anger and passion in this examination of America’s relatively recent history. Scenes of burning buses, angry mobs and the treatment meted out to those who dared to challenge segregation in the south still serve as powerful reminders of the sins of the past. Whitaker does a terrific job in presenting Cecil as an inherently decent character whose loyalties are tested time and time again. 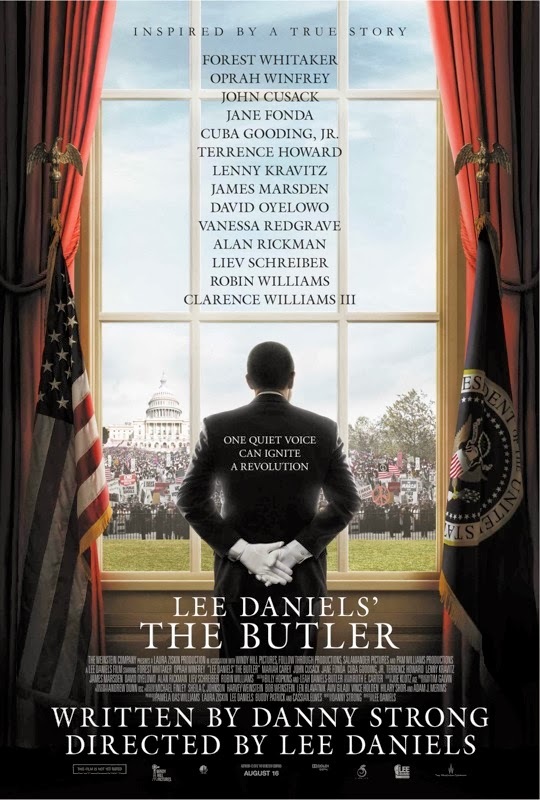 With The Butler, Daniels has crafted a film that is engaging, enraging and emotional and far removed from anything he has done before. Previous Previous post: The Best of the Year?